you have a best life to live today. 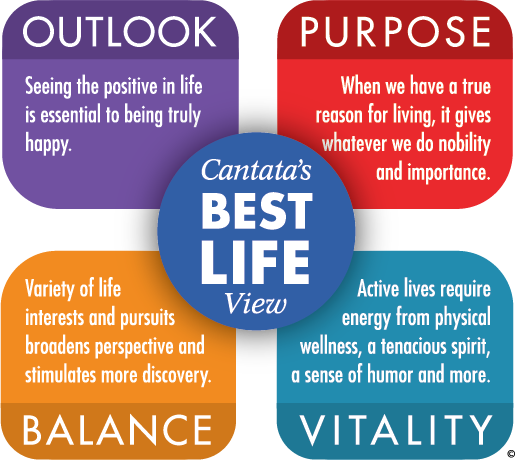 At the Cantata Best Life Foundation, we're working to build a world where all of us can live our Best Lives ... where age is an asset to communities... where we can work and play together across the generations ... where passion, wisdom, and experience collide. We believe four elements are common to Best Life for many of us, regardless of whether we’re 9 or 90. But you are the only person who can define your own Best Life. Go for it!